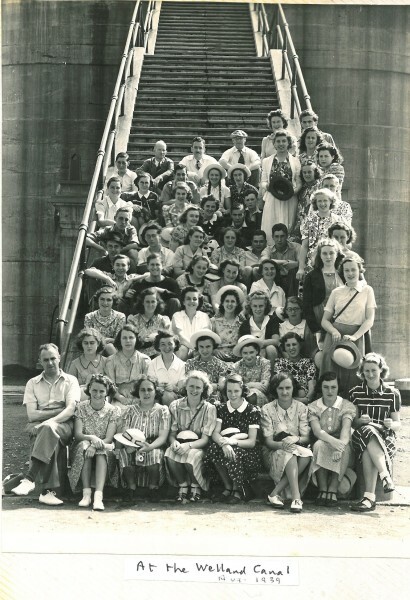 The 1930s was a decade of transition and transformation for both the school site and the WGS community itself. The 1930s proved to be an era of great change for pupils and staff and this has resulted in several compelling stories and enlightening reports. 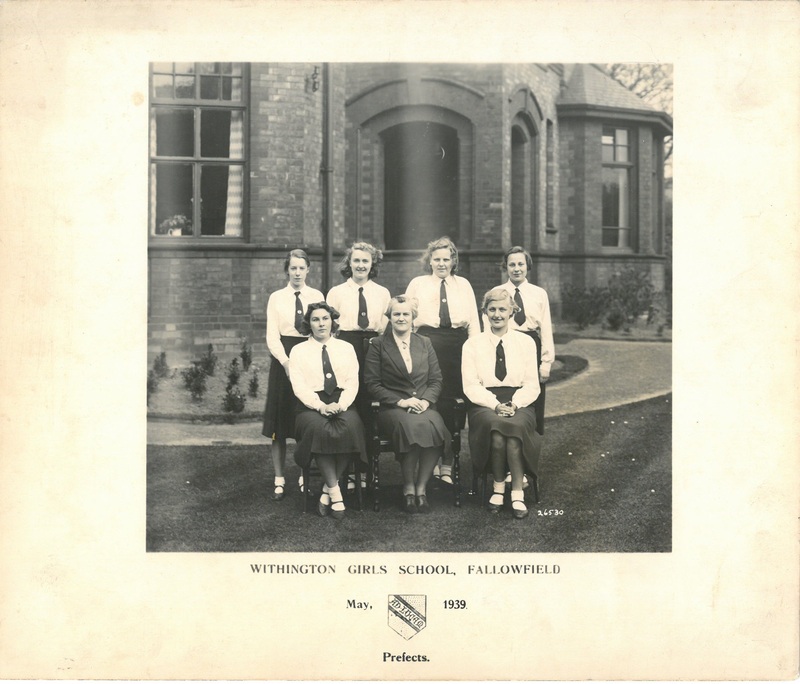 Two members of our Archive Club, Iona and Antara, have researched this intriguing period of Withington history and have pieced together two interesting articles for the website. In the records of the school’s inspections between 1908 and 1933, there was no art room recorded. Yet each inspection was described as being “more and more emphatic” that there ought to be an art room. 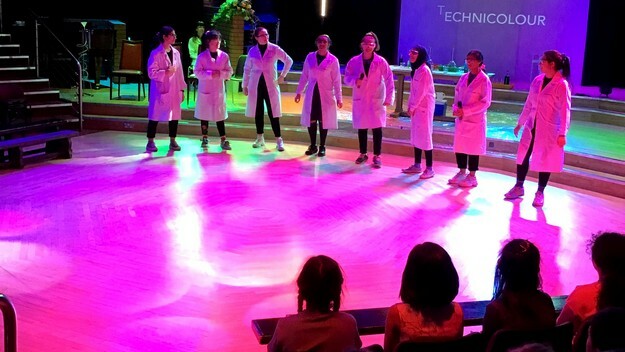 With thirty or forty pupils in 5 years going on to study Art in their further education, chiefly at the University of Manchester, pressure was exerted for the creation of an Art studio. 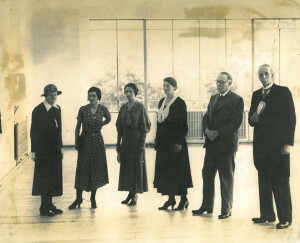 For a year, between December 1934 and December 1935, substantial work took place in order to create an Art room, transforming it from a dark and dismal classroom to a spacious and light place of work, described by Professor Dickie, Professor of Art History and Architecture who worked at the University of Manchester and opened the room, to a studio which was “like a big ballroom” and had “a certain atmosphere of quiet and still secludedness”. Comparatively, entering the Art room in 2015, the atmosphere is rather different; a hubbub of creativity. The individual wooden desks have been replaced with four long tables stretching the width of the room, transforming the way of working, allowing people to work together rather than individually. The windows that cover the entire back wall of the room have remained untouched, however recent improvements have led to the introduction of electronic skylights which allow light to filter down on to the desks below. More recently, there has been the addition of individual art booths for the sixth form pupils which line the walls of the art studio. A more obvious change between the Art studio in the 1930s to the art studio we know today, is the expansion into the neighbouring classroom to create an art storage area, classroom and kiln room. The creation of a kiln room allowed for the curriculum and skills of the pupils to be expanded from solely two-dimensional work, to clay sculpture and pottery. 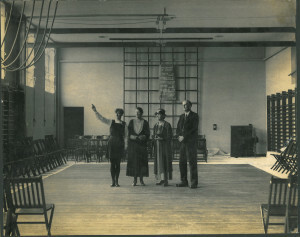 During the same year, from 1934-1935, the ‘Old Gym’ was renovated. 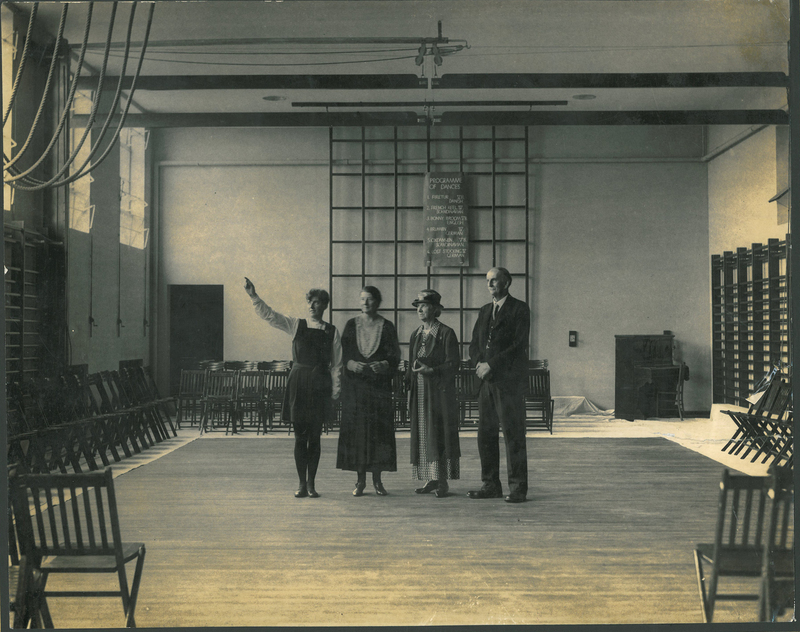 This was described as involving “some sadness, for the Old Gym, had been the scene of much past history – of many events and many memories”. Similarly to today, the gym was used for a multitude of functions. Despite there being some continuity in the functions of the gym, used both then and now as a place of assembly, prayers and all school functions, there are some differences. The ‘Old Gym’ was not only used as a place for physical activity and gym and dance displays, but also “School Parties, Boarders’ All Hallows’ E’en festivities, lectures, lantern shows, a Punch and Judy and a menagerie party”! The ‘Old Gym’ was transformed to become a Library. The Gym platform was removed and worn old floorboards replaced with Pyinkado hardwood. Henceforth the Old Gym was completely unrecognisable. 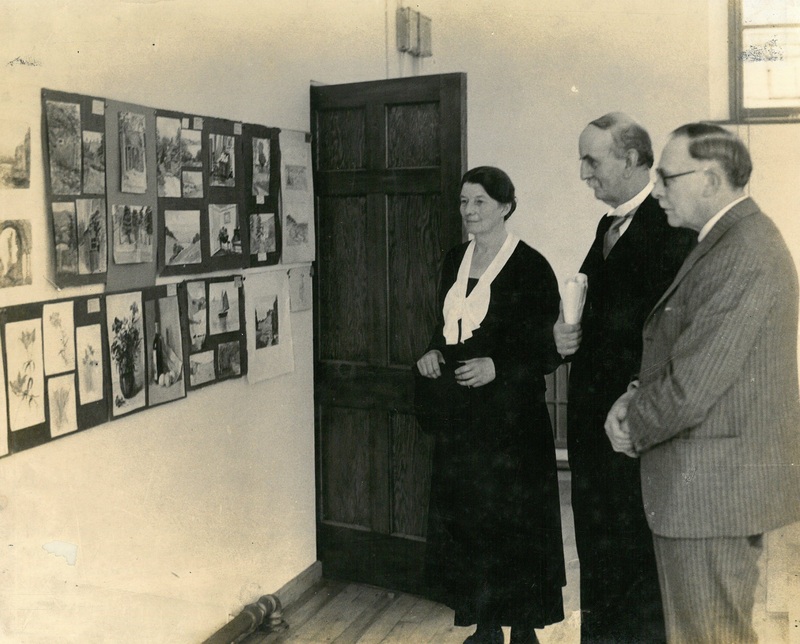 The effects of the Second World War were widespread and pressing across the country and the mammoth task of the government evacuation scheme particularly uprooted life in our own school community. 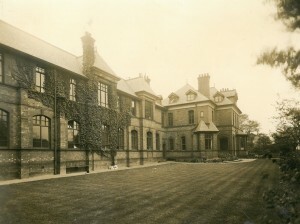 The school archives hold a variety of items that shed light on this period, most notably the whole school evacuation to Uttoxeter in 1939, including school issued identity tags, official records in the newsletter recounting the evacuation and a letter from an alumna looking back on the event. It is evident that spirits remained high throughout the process, with school life continuing to thrive in the new locality, with all the reports tinged with an air of excitement. 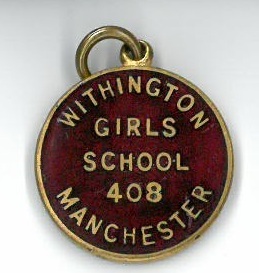 A small house affectionately nicknamed “Withington” became the centre of organisation in the new school area as students attended the local Girls’ High School whilst living with billeted families. The girls and staff took advantage of the opportunities that the countryside offered with many of them taking part in activities such as hiking expeditions and horse riding lessons, the newsletter recounts a particular trek that members of the school community enjoyed. 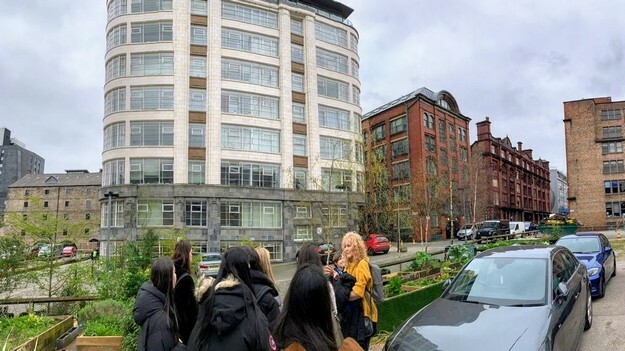 Girls also explored different aspects of the area where their billeted families lived including a group of girls receiving a tour of the Uttoxeter biscuit factory where they witnessed the baking process and sampled the products. During the half term fun activities such as a scavenger hunt, a screening of the jubilee film and a beetle drive were enjoyed. Due to the lack of war “action”, within a year everyone had returned to Withington. Alumna Margaret Livingstone informed Mrs Kenyon, when she contacted the school in 1995, of her gratitude at the importance and care that the teachers placed on ensuring that Withington’s academic standards were maintained throughout this process. 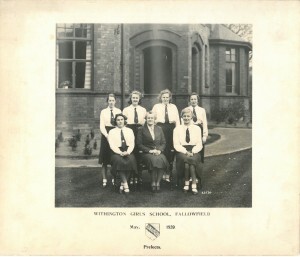 Despite the evacuation to Uttoxeter being portrayed as an exciting and eye opening experience, it was heart-warming to see that the newsletter also contains many comments from girls expressing their jubilation at the school’s reopening, particularly expressing joy at returning to Withington’s games schedule including hockey and tennis. Also during this exciting time, five adventurous WGS pupils embarked on a cruise ship across the Atlantic Ocean to Canada. The girls set sail on the ‘Athenia’ in August 1939, returning in the October. 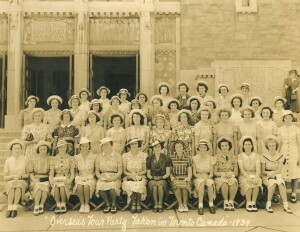 They had a whirlwind tour to Quebec, Montreal, St. Catharines, Niagara, Toronto and Ottawa. On the return home, they stopped by New York and their accounts sound absolutely brilliant! Anne Dickson writes a very descriptive account in the newsletter, narrating the experience of their time on ship and the Canadian scenery. She describes the night time setting in Quebec ‘We went round the city and returned to the ship in darkness, but there was no Black-out – a host of lights bobbed and twinkled as far as we could see. The reflection of a brilliantly flood – lit paper-mill lay upon the still water and the lamps of the great boulevard cast streams of gold out on to the river’.